ourtney is SJS Co-Founder & Chief Operating Officer. 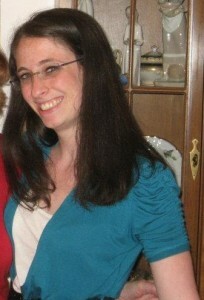 Courtney graduated SUNY Stony Brook with her Masters in Social Welfare, and Dowling College with a B.A. in Psychology. She previously worked for the Department of Veteran Affairs, having a strong interest in military/veteran issues, and is currently pursuing her PhD studies at the University of Edinburgh in the areas of technology, social media, and VR as part of the department of Science and Technology Innovative Studies. Courtney continues to work closely for the promotion of the social worker profession, often presenting at conferences and speaking engagements. In 2018 she was honored to be selected as a Woman in Gaming Ambassador through the IGDA. She also teaches a variety of courses for multiple universities. Other areas of interest include: policy, program development, advocacy, research, and systems work. Courtney can be reached at: Courtney@Socialjusticesolutions.org and further interest in her work can be found via www.CourtneyKidd.com. John is a staff writer at SJS. He graduated from SUNY Plattsburgh with a Bachelor’s in Criminology while minoring in Sociology and Psychology. Currently, John is working in sales, and is an active CWA union member. He is dedicated to change and social justice through the avenues of education and social media. John can be reached at john@socialjusticesolutions.org. Georgianna is Chief Editor, and a staff writer at SJS. A licensed social worker in New York State, she has her B.S in Psychobiology from Binghamton University, and her Masters in Social Welfare from Stony Brook University. She currently works as a Prevention Specialist for the Prevention Resource Center, where she works with local Long Island Communities to address substance use/abuse and related problem behaviors. Her other interests include: preventative and public health, social work research and education, policy, sexuality, chronic disease management, and food justice and advocacy. Georgianna can be reached at Georgia@socialjsuticesolutions.org. Ammu works closely with the SJS executive team as the Coordinator of Community Partners to establish working partnerships and help expand SJS’s reach and commitment to their mission and goals. With a strong anti-oppressive lens, Ammu’s interests focus on social and racial justice, as she strives for a more equitable society with community at its core. In her day job, Ammu is the Associate Director of Organizational Development and Grants Administration at the McSilver Institute for Poverty Policy and Research at NYU, where she oversees external funding opportunities and functions as educational coordinator and field instructor for the institute’s bachelors and masters level student interns and volunteers. 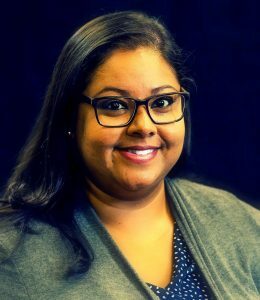 Prior to joining the McSilver Institute, Ammu worked with the National Association of Social Workers (NASW) in the New York City Chapter for over five years where she oversaw fundraising and membership development. She received her MSW from the Silberman School of Social Work at Hunter College and is currently enrolled in the Executive MPA program at New York University Robert F. Wagner Graduate School of Public Service. WHAT AN AMAZING TEAM TO BE PART OF! What an amazing resource! I admire what you all do. I’m a social work grad student at University of Southern California. So wonderful to see the difference social workers can make, thanks for the inspiration! What an amazing resource! I admire what you all do. I'm a social work grad student at University of Southern California. So wonderful to see the difference social workers can make, thanks for the inspiration!